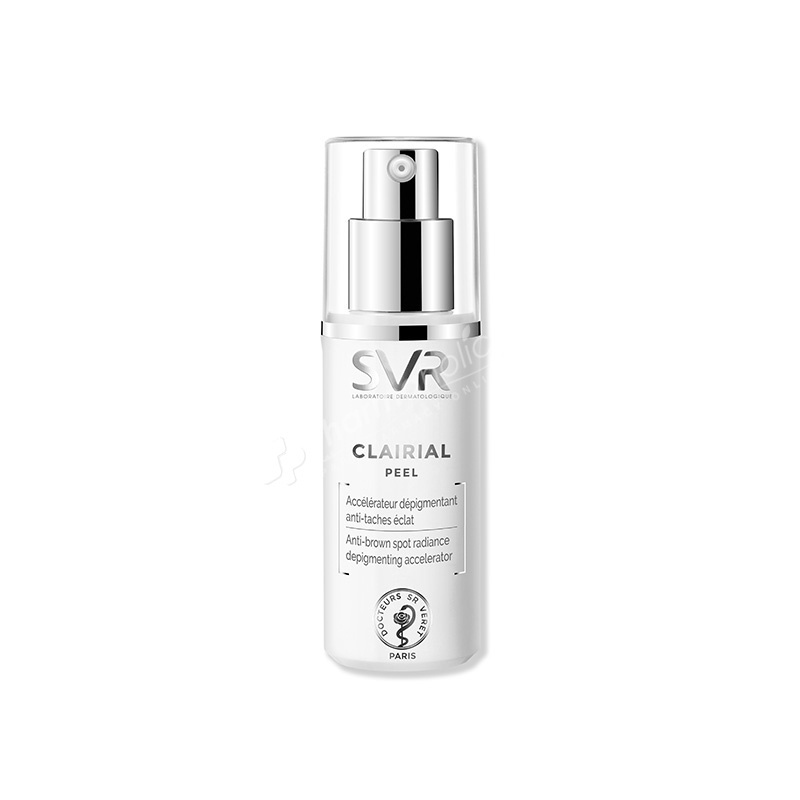 SVR Clairial Peel Localized and Extensive Brown Spots 30ml exfoliates, accelerates and optimizes effectiveness of depigmenting treatments. It is a high powered depigmenting treatment enriched in citric acid and in Lumiwhite patented which exfoliates and eliminates epidermal pigment to erase brown spots. Its light texture quickly penetrates and leave no-greasy effect after application. Massage lightly into brown spots and patches on the face, neck, décolleté area and back of the hands. Due to its concentrated formula,Clairial Peel should used on its own on 3 non-consecutive nights per week. Avoid contact with eyes. Do not use in case of dermatological problems. Avoid exposure to sun.